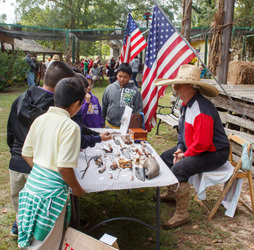 The Harvest Festival is dedicated to celebrating the many influences that make up our rich deep East Texas heritage through exhibitors, presenters, displays, and performances all set in our "Living Village" grounds circa 1840-1920. All participants are dressed in period costumes, using period tools, and demonstrating period skills. There will be outstanding shows of both music and dance, and lots of interesting food. Come join us for Fall's Finest Fun! Mouse over will stop the scrolling. Prior to the Festival... Heritage Village Museum sponsors a Photo Contest to be held during the Harvest Festival. There is an Adult Division and a Junior Division. Click here to read more about the photo contest. 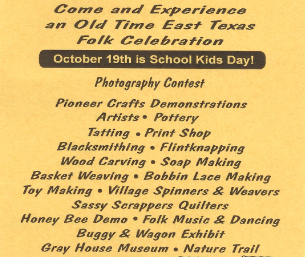 The Festival weekend will kick off with a "Kid's Day" on Friday, October 19th. Schools are invited from 9:00am -1:30pm. However, the village will be open until 3pm. Saturday, October 20th, the fun begins at 9am and continues to 5pm. There will be tours of the "Gray House" today only. Throughout all days there will be music, dancing, demonstrating of period skills, shopping opportunities, and lots of interesting food. Take your picture with folks in period costumes. Admission: Collected at the event. Parking: Parking is available on the top of the hill on HWY 190. There will be a shuttle bus so stand under the shelter for transportation to the front gate. There is a path for those who wish to walk. 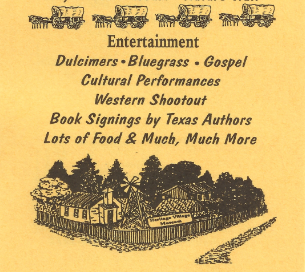 Participants are welcome to sell their wares if they are appropriate to this time period (circa 1840-1920). Details for meals and accommodations are listed on the registration form. For additional information call or email. This contact information is at the top of this web page. 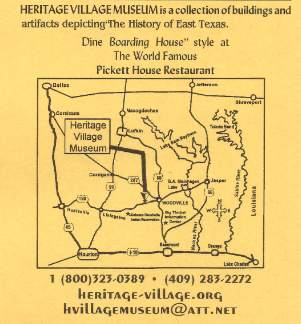 As a 501C non-profit corporation, all profits derived from this event go for restoration and furthering our purposes in History related education.